Herons Lake Retreat offers the following facilities. Heron Lakeside Lodge  One bedroom  Sleeps 2  Luxury lodge perfect for a romantic break. 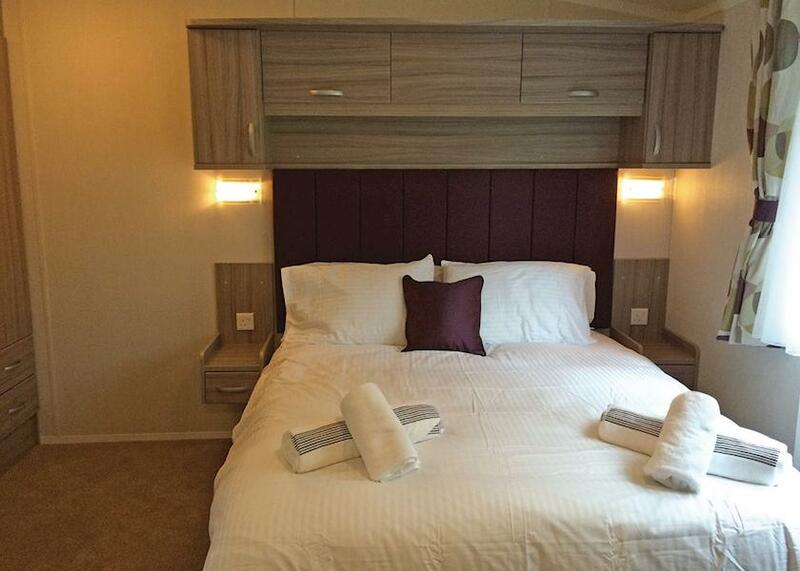 One king size double with spa bath and separate shower room. Open plan lounge/kitchen/dining area. Dishwasher and washing machine. Verandah with outdoor hot tub. Lake views. 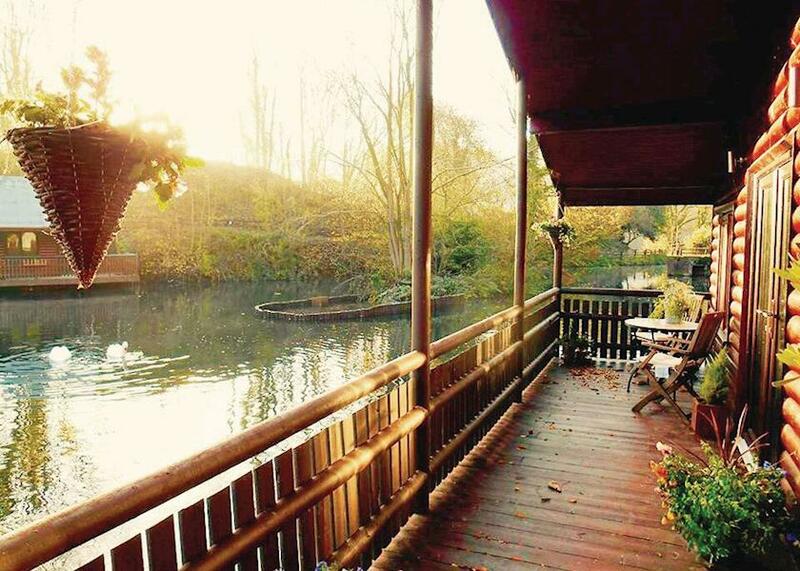 Woodpecker Lakeside Lodge  Two bedrooms  Sleeps 4  Partially refurbished in 2016. Comfortable two storey lodge. Ground floor: Master king size double. Spa bath with overhead shower. Open plan lounge/kitchen/dining area. Washing machine. Verandah overlooking the lake with outdoor hot tub. Mezzanine: One double with sloping ceiling. Kingfisher Lakeside Lodge  One bedroom  Sleeps 2  Stylish lodge with one double. Spa bath with overhead shower. Open plan lounge/kitchen/dining area. Dishwasher and washing machine. Verandah with outdoor hot tub. Lake views. 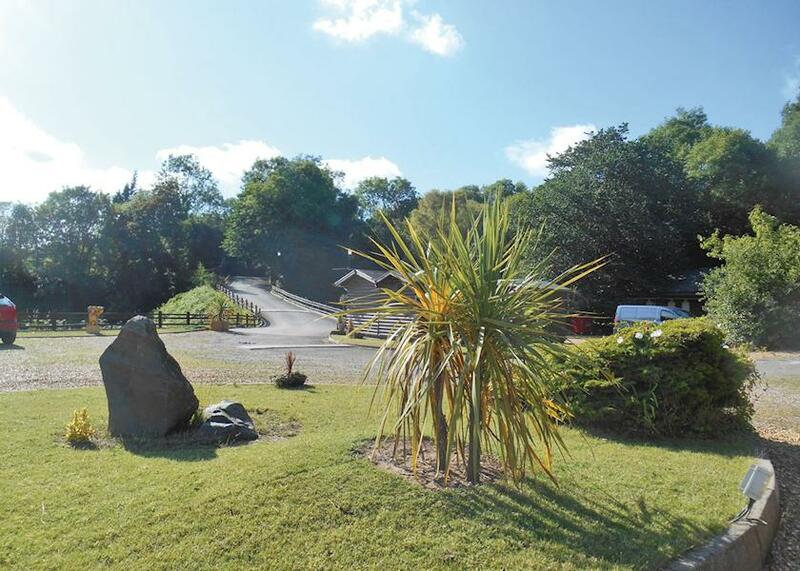 Hawk Woodside Lodge  Two bedrooms  Sleeps 4  Spacious lodge nestled in woodland with one double and one twin. Bath with overhead shower. Open plan lounge/kitchen/dining area. Dishwasher and washing machine. Verandah with outdoor hot tub. 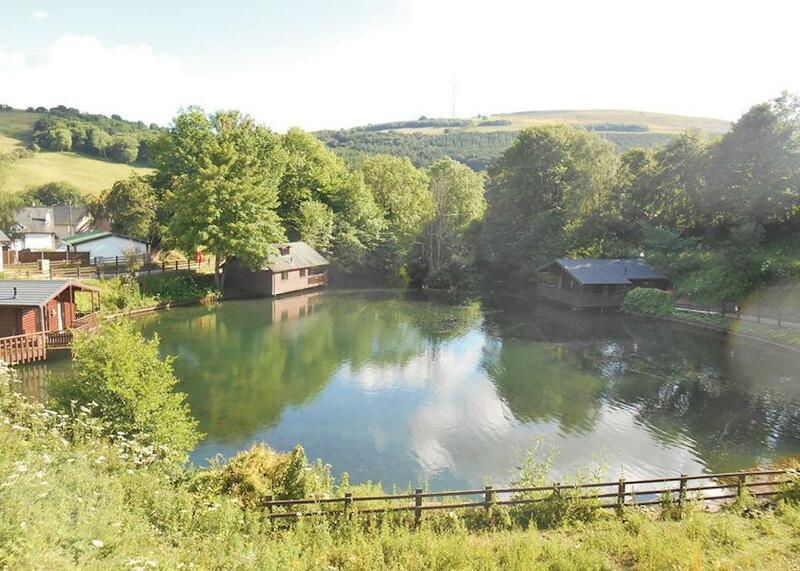 Robin Woodside Lodge  Studio  Sleeps 2  Modern studio lodge nestled in woodland with one double. Spa bath with overhead shower. Open plan lounge/kitchen/dining area. Washing machine. Blu-ray. Decking with outdoor hot tub. Owl Woodside Lodge  Two bedrooms. 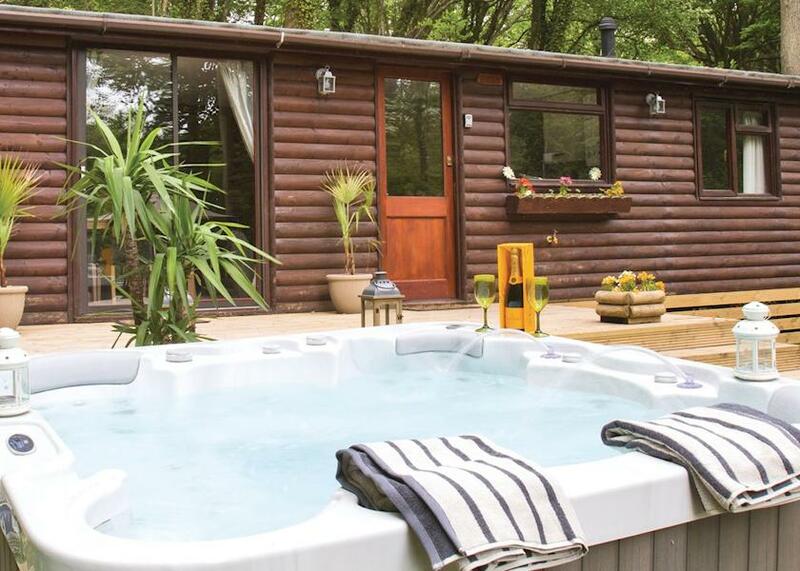  Sleeps 4  Luxury lodge nestled in woodland with one double and one twin. Bath with overhead shower. Open plan lounge/kitchen/dining area. Dishwasher and washing machine. Blu-ray. Decking with outdoor hot tub. Buzzard Woodside Lodge  Two bedrooms  Sleeps 4  Cosy and traditional lodge nestled in woodland with one double and one twin. Walk in shower. Open plan lounge/kitchen/dining area. Blu-ray. Verandah with outdoor hot tub. Kestrel Woodside Lodge  Two bedrooms  Sleeps 4  Cosy and traditional lodge nestled in woodland with one double and one twin. Walk in shower. Open plan lounge/kitchen/dining area. Blu-ray. Verandah with outdoor hot tub. Valley views. Falcon Woodside Lodge  Two bedrooms  Sleeps 4  New in 2016. 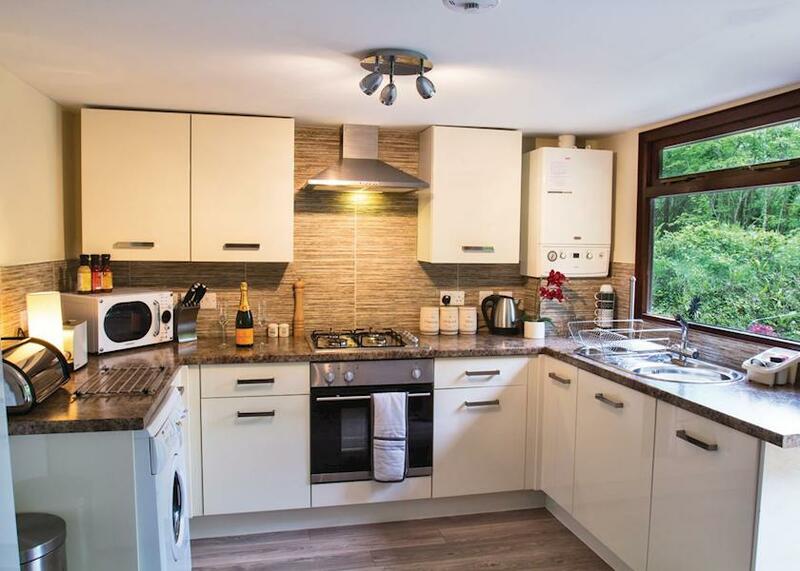 Beautiful and modern lodge nestled in woodland with one king size double with ensuite bath with overhead shower and one twin. Shower. Open plan lounge/kitchen/dining area. Blu-ray. Dishwasher and washing machine. Verandah with outdoor hot tub. Small stream by the side of the lodge and great views. No pets. 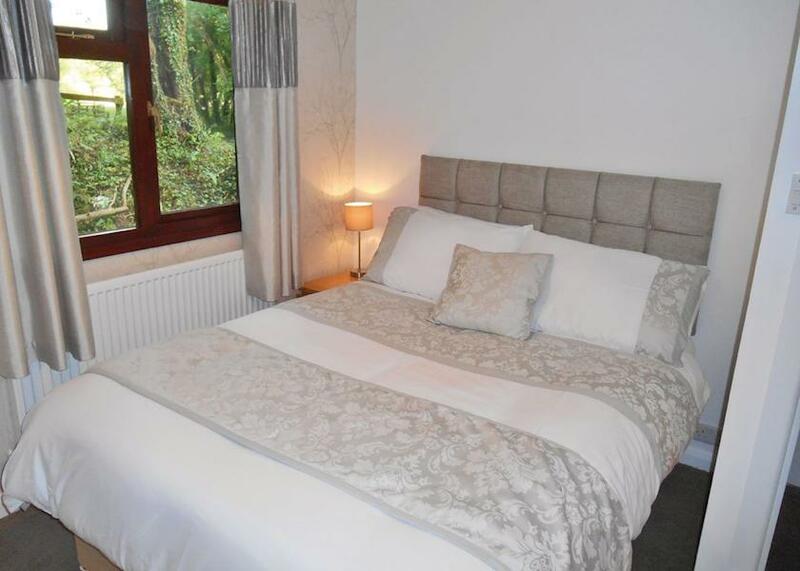 Eagle Lodge  Three bedrooms  Sleeps 6  Refurbished in 2016. Secluded and rustic log design lodge, located on its own at the top of the lake. One double and two twin. Bath with overhead shower. Open plan lounge/dining area with vaulted ceiling and compact kitchen area. Large terrace with outdoor hot tub. Lake views. No pets. Wren Lodge  Two bedrooms  Sleeps 4  New in 2016. Stylish and compact lodge with one double with ensuite WC and one twin. Shower. Open plan lounge/dining area with well equipped kitchen. Small covered verandah off the lounge and separate generous patio and garden area to the side of the lodge with outdoor hot tub and barbecue. No pets. Osprey Lodge  Two bedrooms  Sleeps 4  New in 2016. Beautiful and modern lodge nestled in woodland with one king size double with ensuite bath with overhead shower and one twin. Shower. Open plan lounge/kitchen/dining area. Blu-ray. Dishwasher and washing machine. Verandah with outdoor hot tub. Lake and valley views. No pets. Nuthatch Lodge  Two bedrooms  Sleeps 4  New in 2016. Stylish and compact lodge with one double with ensuite WC and one twin. Shower. Open plan lounge/kitchen/dining area. Small covered verandah off the lounge and separate spacious patio and garden area to the side of the lodge with outdoor hot tub and barbecue. 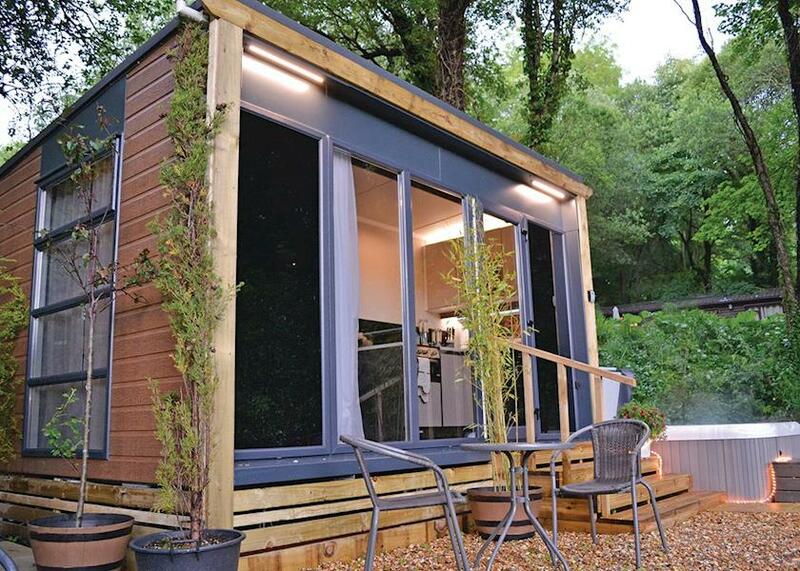 Skylark Pod  Studio  Sleeps 2  Contemporary mini pod with one double pull-out bed and ensuite shower and WC. Modern kitchen area with hob, grill, microwave and fridge. TV and Blu-ray. Built in fan heaters. Patio area with outdoor furniture. Outdoor hot tub with mood lighting. No pets. Cuckoo Lodge  One bedroom  Sleeps 2–3  Partially refurbished in 2016. Two storey alpine style studio real log lodge. Ground floor: Compact dining area leading to modern galley kitchen. Small shower. Additional sleeping for one in the lounge area. First floor: Open plan bedroom with vaulted ceiling and king size 5ft bed and living area. 40" TV. Electric panel heaters. Balcony with patio furniture and superb views of the valley. Outdoor hot tub. Perfect for couples. Red Kite Lodge  Two bedrooms  Sleeps 4  New in 2016. Beautiful and modern lodge nestled in woodland with one king size double with ensuite bath with overhead shower and one twin. Separate shower room. Open plan lounge/kitchen/dining area. Blu-ray player. Dishasher and washing machine. Verandah with outdoor hot tub. 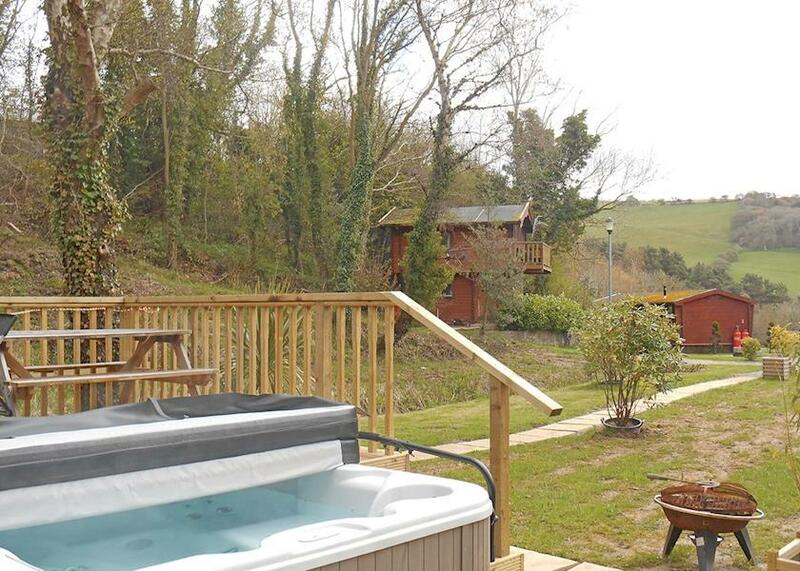 Pheasant Lodge  Two bedrooms  Sleeps 4  New in 2016. Beautiful and modern lodge nestled in woodland with one king size double with ensuite bath with overhead shower and one twin. Shower. Open plan lounge/kitchen/dining area. Blu-ray. Dishwasher and washing machine. Verandah with outdoor hot tub. Lake and valley views. Quail Lodge  Studio  Sleeps 2  Large modern studio lodge with one double. Walk-in shower. Open plan lounge/kitchen/dining area. Blu-ray. Spacious decking with furniture and outdoor hot tub. Lake views. Moorhen Cottage  Three bedrooms  Sleeps 6  New in 2017. Two storey cottage with lake views. Ground floor: Two doubles. Bathroom with jacuzzi bath and walk-in shower. 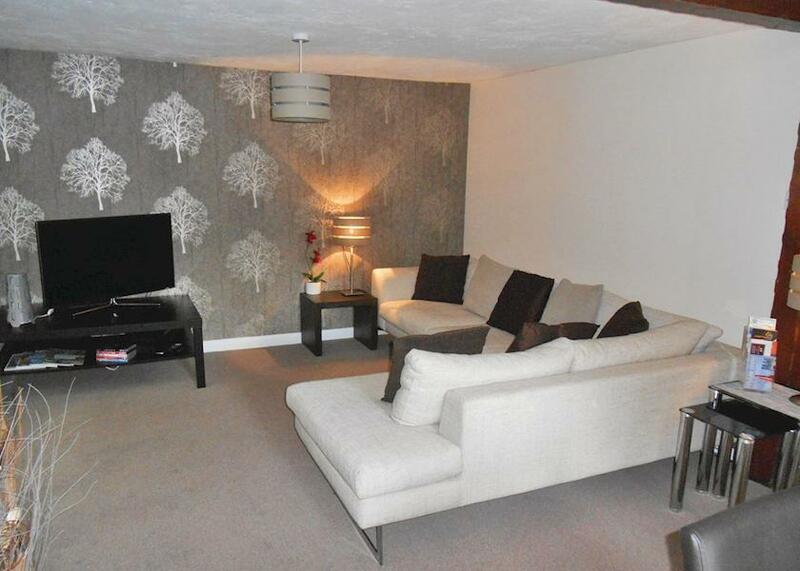 Spacious open plan living area and fully equipped kitchen with dishwasher and washing machine. Dining area overlooking the lake and further seating area leading to outdoor hot tub. First floor: One twin and further bathroom with bath with overhead shower. We have 0 reviews for Herons Lake Retreat. A random selection of 3 are shown for your information. Refresh the page to get another 3 reviews to show. 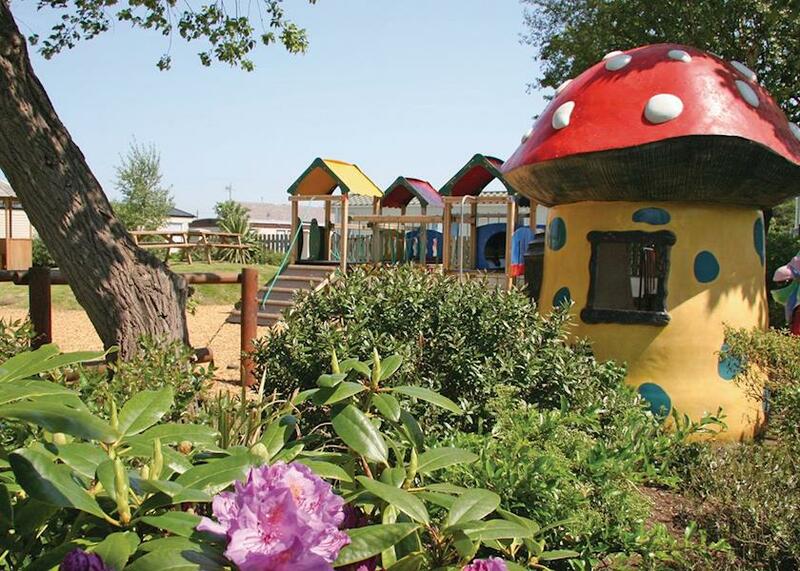 Have you been to Herons Lake Retreat? Please share your views with others who are considering staying at Herons Lake Retreat so that they can benefit from your experience and get the best from their holidays. Important note: Information provided here about Herons Lake Retreat is based on our best knowledge. However, please check with Herons Lake Retreat before booking to ensure that you have the information required. Reviews are the sole views of the contributor and do not necessarily represent the views of gocaravannung.com or Herons Lake Retreat.